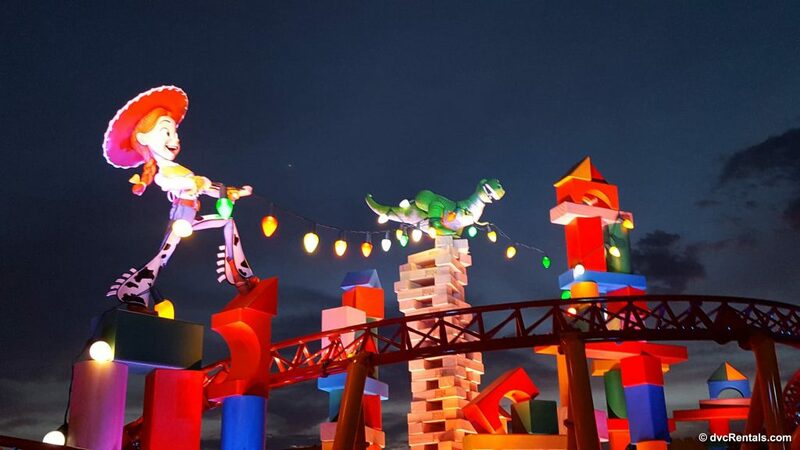 On June 30 of this year Toy Story Land opened to the public at Disney’s Hollywood Studios. This new land was primarily built in the area that used to be the home to the now-defunct attraction known as the Backlot Tour. The first few days of the Land opening were a complete madhouse. Not only were the lines for the ride attractions long, there were waits for guests to enter the new land itself! Thankfully that has changed. 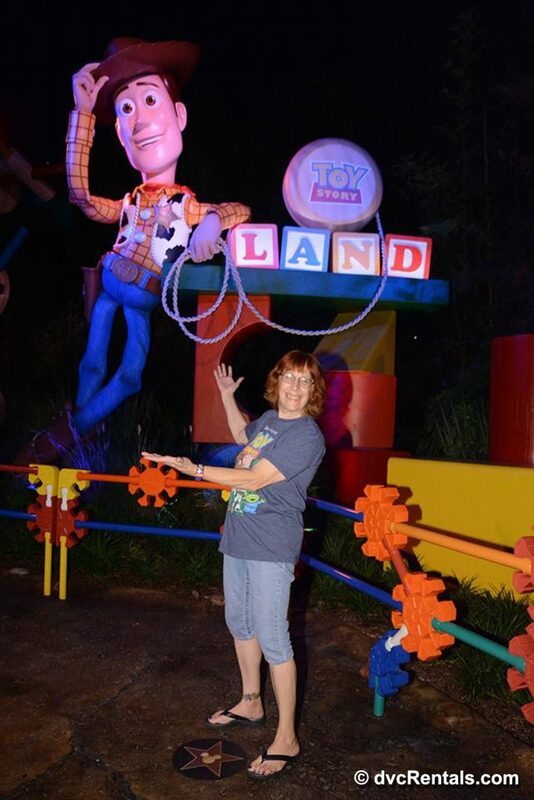 I paid my first visit to Toy Story Land on Saturday July 21, at about 7:30 PM. Not only did I walk right in, the standby waits for all three attractions in the land were quite reasonable. As I approached the area I could feel my excitement building and my steps quickening. I am quite a fan of the Pixar Toy Story series of movies, and I couldn’t wait to check out this new area. To enter the land, pass by Walt Disney Presents (formerly known as One Man’s Dream), and turn right. Continue straight ahead and you’ll be inside of Toy Story Land. As you approach and upon first entering, the first thing you’ll see is a sign welcoming you to the land, and a VERY large figure of Woody. Although he does not move, you will hear Woody speaking in that familiar voice we know and love. As you continue on, just a little ways down are equally huge figures of Jessie the cowgirl and Rex the Dinosaur. There are gigantic Christmas tree bulbs strung between the two figures, and behind them are brightly colored oversized children’s blocks. This is where you will get your first glance at the track for the new Slinky Dog Roller Coaster attraction, as the track runs right past the figures. More about Slinky dog later. There is a HUGE version of the Pixar Ball, the colorful ball that is seen one way or another in all of the Pixar movies. 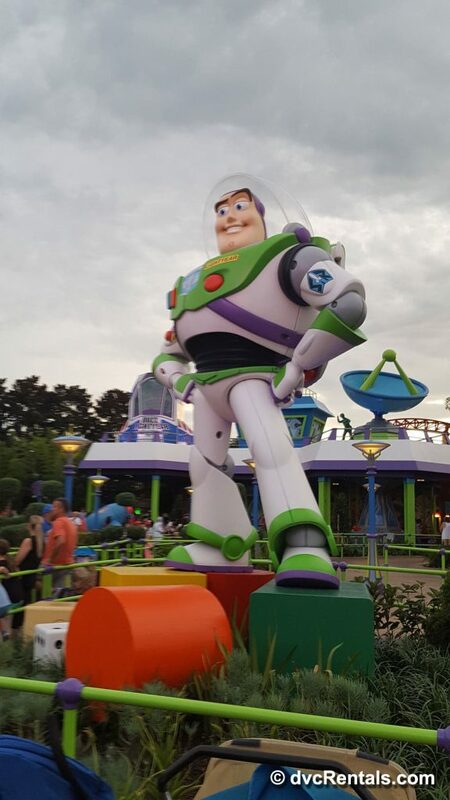 And of course, Buzz can’t be left out, there is also a large figure of our favorite Space Ranger in Toy Story Land. All of these iconic figures make for GREAT photo opportunities. There are Photopass photographers at most of the locations I mentioned, so don’t forget to take advantage of that if you have an annual pass or you have purchased Memory Maker. While I am on the subject of photos, I can’t forget to mention that the actual characters are available for meet and greets. 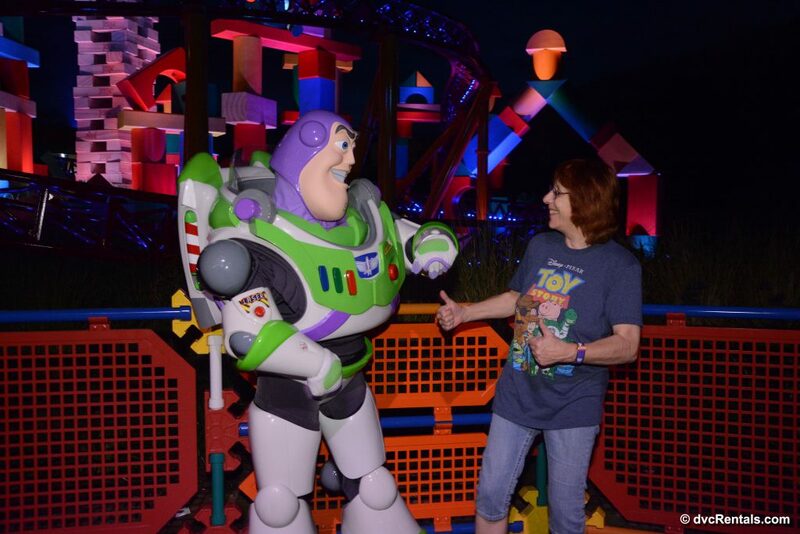 The night I was there the line for photos with Buzz was very reasonable, I had a short wait. Buzz was located outside in an area set aside for him. Jessie and Woody do meetups in an area that is also outdoors, but it’s set back from the main path. The line to meet them was about a 20 minute wait. By the way, if it’s time for any of the characters to take a break don’t give up your place in line, they will be back in a very short time, usually about 5 minutes. Before we get to the attractions, I must say that Toy Story Land itself is remarkable to walk around. There are so many shout-outs to the three Toy Story movies, everywhere you look is a delight and a surprise. You’ll see the Green Army men in abundance, as well as many games, characters, and toys (i.e. Tinker Toys and Lincoln Logs) familiar from the Toy Story series. The entire land is filled with bright colors, and as most everything is oversized, it’s easy to imagine you are one of the toys. Even the grass and other landscaping is oversized! To add to the fun atmosphere music from the Toy Story movies plays merrily in the background. Now for the attractions! 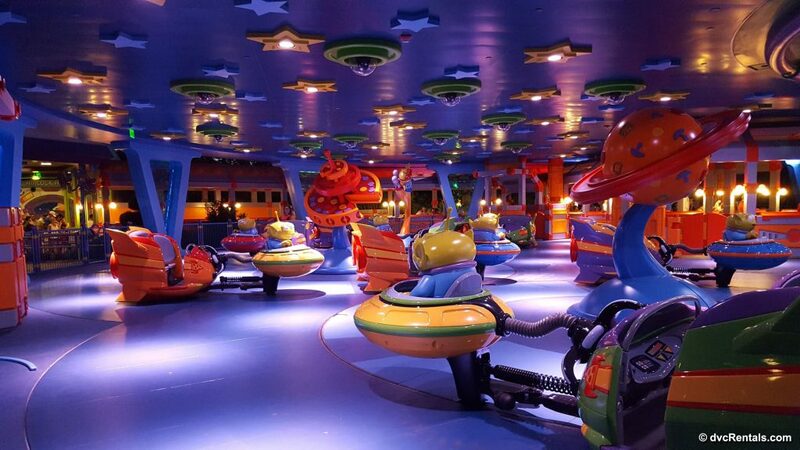 The existing ride of Toy Story Mania has been incorporated into this new land. It’s located on the left next to the Woody and Jessie meet and greet area. You enter through what formerly was the rear of the attraction. Once inside this is one of the few spots in Toy Story Land that has air conditioning, a nice relief when the wait is long or just to escape the heat on a hot day. While the ride itself is exactly the same as it was before, the queue is longer, and the walls display many new posters of the characters. Our friend Mr. Potato head is still present in the standby line. On a personal note, I am a very big fan of Jessie, and I was pleased that Disney saw fit to add a number of shout-outs to my favorite cowgirl in the queue (as well in a number of other places in the land). 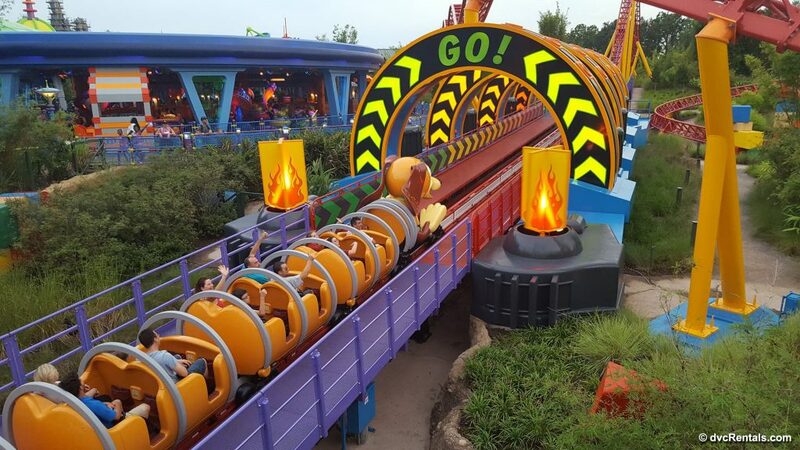 If you turn right the first chance you get after entering Toy Story Land you will find the entrance to Slinky Dog Dash, an adorable and fun new Roller Coaster. The entire ride is visible from the land, and although the queue is adorable you remain outdoors while waiting, so no air conditioning. On par with Big Thunder Mountain RR as well as Mine Train in the Magic Kingdom, the ride is exciting enough for the whole family, but not too scary for most children (the minimum height for kids to ride Slinky is 38”). There are no big drops or going upside down or backwards on the ride. There are a couple of fun spots where you are “launched”, the ride stops and then continues by lurching forward. The first launch is almost immediately after boarding; the second is about halfway through. The second one has a very cool pullback feeling to it, reminding you of the slinky toy stretching out, and then you are launched through a series of colorful curves that light up beautifully at night. 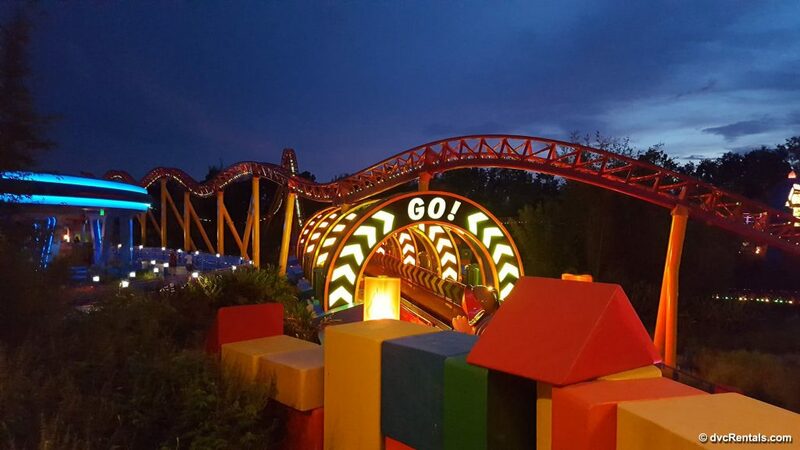 The ride will hesitate at this spot until the first curve lights up the word “Go!”, and then you speed off. The ride lasts longer than the MK mine train; I would estimate it’s close to the same length as Big Thunder Mountain RR. 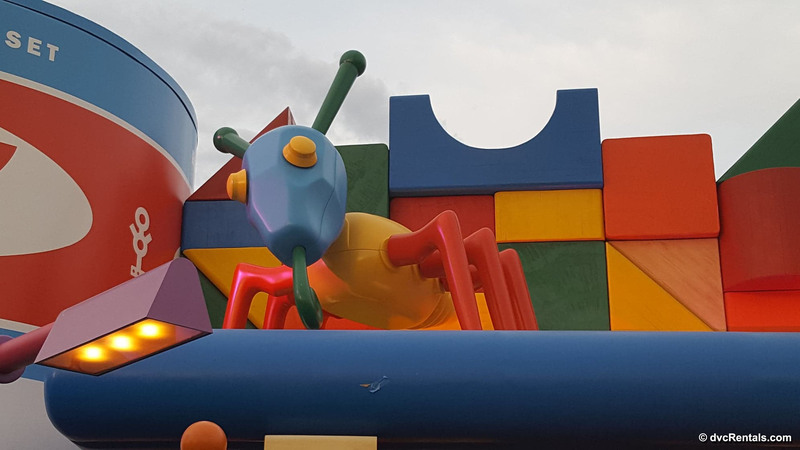 In the back right corner of the land is where you will find the third and final attraction in Toy Story Land, Alien Swirling Saucers. If you have ever experienced the Whip attraction at an amusement park you will have a good idea what this ride is like. If you have not, think of the teacups in the magic kingdom, but with more force and energy to the spin, (and you have no control of the spinning of your saucer). The ride last for about a minute and a half and you are spun around at a fairly high rate of speed. Chances are you’ll have trouble avoiding bumping into the person seated next to you. If you are prone to motion sickness, you may want to sit this one out. 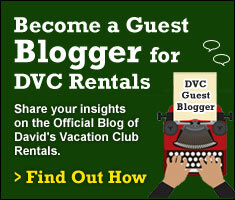 Height requirement for kids is 32 inches and each ride vehicle will hold up to three guests. Like the Dumbo ride in the Magic Kingdom, there are two identical Alien Swirling Saucer rides next to one another. Each has 11 ride vehicles. It’s very well themed, and like the rest of Toy Story Land, bright and a delight to the eye. 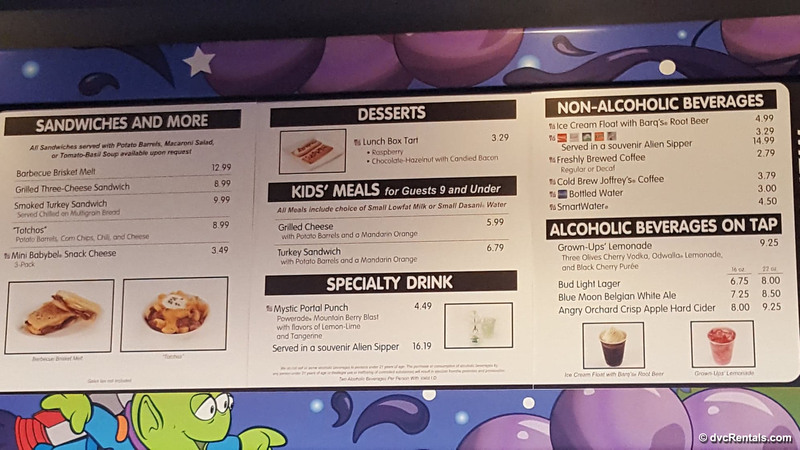 I am hoping they add more food choices, as right now except for carts with snacks there is only one place to eat in Toy Story Land. It’s a walk up window with five choices of meals for adults and two for children. There are both non-alcoholic and adult beverages to choose from. One of the best parts of this area is that all the tables are covered with big umbrellas to keep the sun away. The rest of this land has virtually no shade at all. The reason I chose my first visit timed to arrive at 7:30PM was to avoid the July sun. I got there early enough to see the area in daylight, but the sun set about half an hour later. The park is great any time, but it really pops in the evening, everything is brightly lit and glorious to behold. 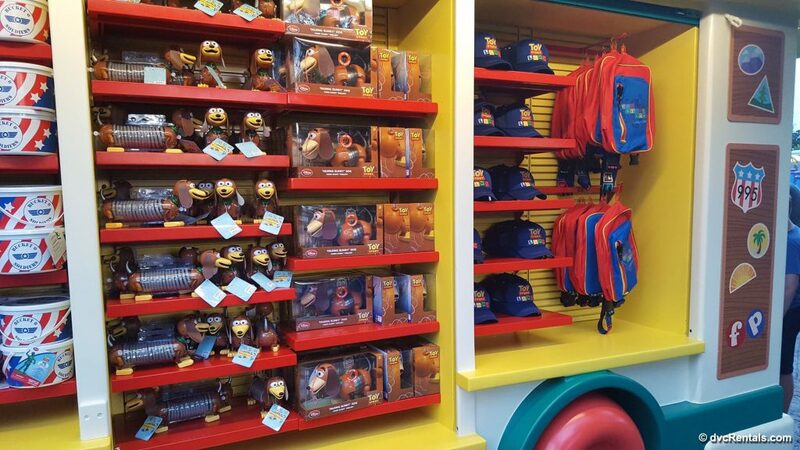 I would also like to see a Merchandise shop added to Toy Story Land. Currently, there are two outdoor kiosks, the majority of the merchandise for the land can be found on Sunset Boulevard next to In Vogue. The store is called Beverly Sunset and before the change was known as Sweet Spells. 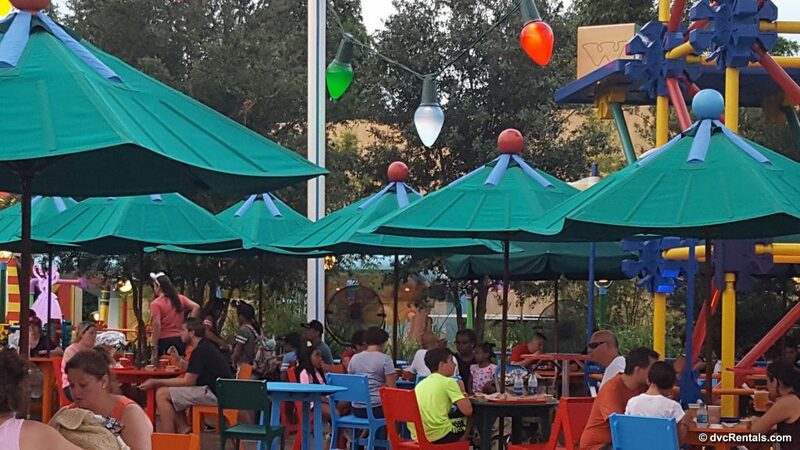 The kiosks in Toy Story land aren’t large enough to do it justice, and it would be great to have an air conditioned spot to shop for Toy Story merch without having to go to Sunset Boulevard. Hopefully it’s in the works; I have not heard anything yet regarding this. I had a great time exploring this fun new land. It isn’t huge, but there’s a lot to see and experience. I don’t know if I was just lucky, but as I mentioned earlier wait times for all the attractions on a beautiful Saturday night less than a month after the land opened were very reasonable. 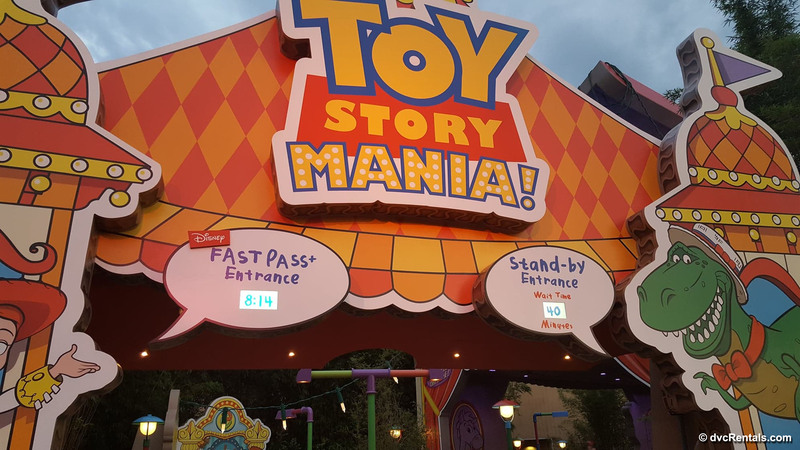 Toy Story Mania varied from 30-40 minutes. 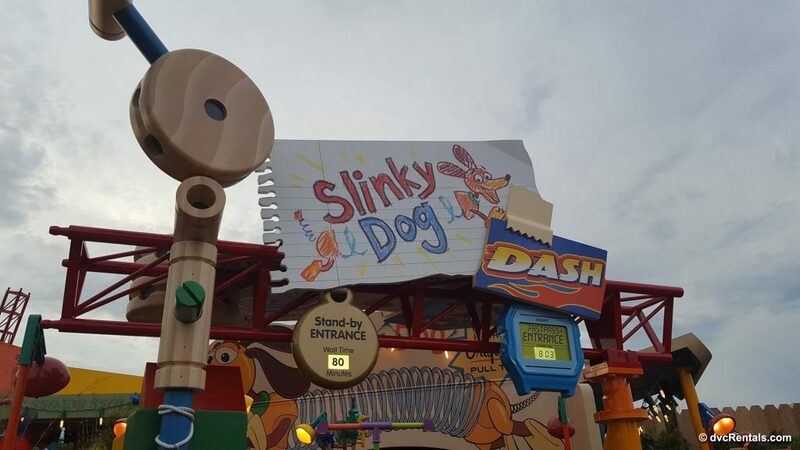 Slinky Dog, easily the most popular ride in Toy Story Land was 60-70 minutes for the standby queue. 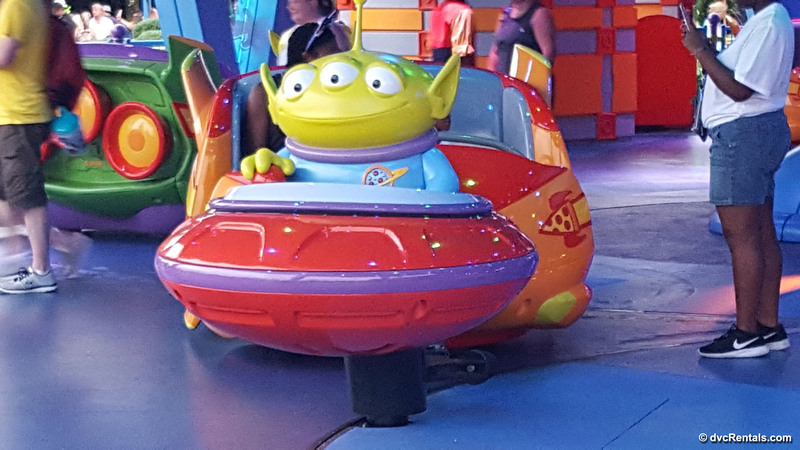 Alien Swirling Saucers were just a 20 minute wait. It’s so nice to experience a new area to explore at Walt Disney World. 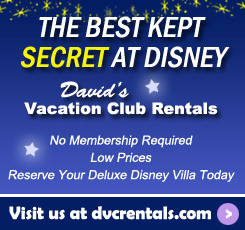 If you are a fan of Toy Story, it’s not even necessary to go on any attractions. Just walking around and soaking in all the great designs and discovering hidden surprises is wonderful. I plan to return many, many times.